THE EQUALITY TRIBUNAL has ordered an Irish school to pay a separated father €4,000 in compensation for the “anxiety and distress” he experienced as a result of discriminatory treatment. The man initiated legal action against the school in question after it requested that he provide a certified court order or legal letter to clarify his custody rights. 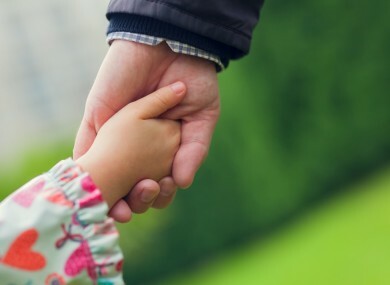 He claimed the school had sided with his estranged wife in withholding information from him about their daughter, and submitted that he had been discriminated against on gender, civil status and family status grounds. In evidence, the complainant said he received an email from the school in May 2013 informing that a sports day was scheduled to take place the following day. He claimed other parents had received earlier notification of the event and that the school had a habit of failing to inform him of events in good time. After ringing the school on the day of the event to confirm its starting time and location, he said the principal told him that his former partner (Ms A) had called to say his attendance meant their daughter would not be attending the sports day. The complainant claimed that the principal was “very rude” to him and said she did not want him engaging in “disruptive behaviour” in front of other parents. He said he then texted Ms A to ask that the child not be withdrawn from the event, as he had decided against attending, given the circumstances. The complainant told the court that he did not want his child to miss out on the sports day because she was looking forward to the event. He learned that his daughter attended the event but was taken home after the principal told Ms A that he was planning to attend. The complainant submitted that the school informs Ms A when he is coming to the school for events such as parent-teacher meetings, despite knowing that their daughter would likely be withdrawn from school as a result. A week later, he received a letter from the principal requesting a certified court order or a legal letter from his solicitor to clarify his custody rights. He said the school would not have asked a non-separated father to produce evidence of access arrangements. The complainant also alleged that he had been victimised for initiating a complaint to the Equality Tribunal after his estranged wife enrolled their daughter in the school without his consent or knowledge. He said he withdrew the case in May 2013, just over two weeks before the sports day, because he did not want his relationship with the school to deteriorate. The principal testified that she requested court orders as she had been given conflicting information about the complainant’s access arrangements. Ms A had informed the school on one occasion that the complainant had been refused access by the Circuit Family Court, though the principal accepted in evidence that she would have been notified if such an order prevented a parent having access. The respondent denied having colluded against the complainant to prevent him attending the school’s sports day and submitted that the decision to take the child out of school was Ms A’s alone. She said she informed Ms A that her former partner was attending the sports day as she wanted to avoid any confrontation on school grounds. In a recently published ruling, the Equality Tribunal found that the complainant had established discriminatory treatment on the grounds of gender and civil status, in contravention of the Equal Status Acts. Equality officer Marian Duffy said she was satisfied that the complainant was ”treated differently than other parents in the circumstance”, noting also that he had been notified of the event a day later than other parents. “It is my view that the principal’s actions served no useful purpose other than to cause friction between the parents and to portray the complainant in a negative way,” she said, adding that the respondent’s subsequent request for court orders also constituted victimisation. Email “School ordered to pay €4,000 compensation after discriminating against separated dad ”. Feedback on “School ordered to pay €4,000 compensation after discriminating against separated dad ”.